Green, greener, greenest. You will sleep wonderfully in this cottage at the edge of the wood / dune area. A unique place for those seeking peace and quiet close to the wonderful beach of Egmond aan Zee. You can fully enjoy the total serenity and the views of the farmlands and bulb fields. You will find these two charming cottages at a wonderful location, bordering right on the forest and dune area of Egmond aan Zee and where there are no cars apart from the owner's. From the home, you walk right into the North Holland dune area and the beach of Egmond aan Zee is at walking distance. The cottages each have a separate entrance and small terrace. A fresh bouquet of flowers from the gardens is always taken care of. The cottage is very suitable for two adults. You can fully enjoy the wonderful flowering bulb fields in April and May. 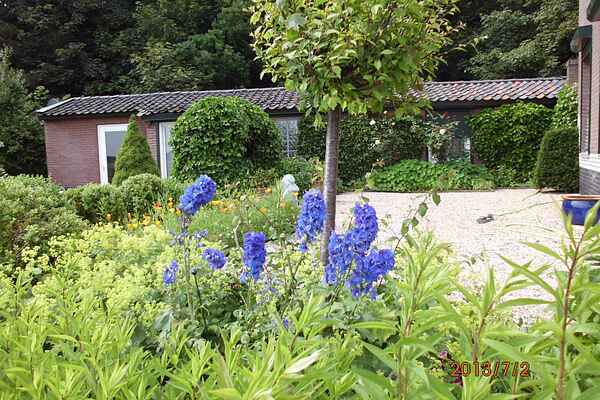 The other house, called \"Het Stelpje\", is just as charming through its rustic furnishings. This house is also suitable for a maximum of two people. You can get to Amsterdam quickly from Egmond aan Zee, which makes a great day trip.